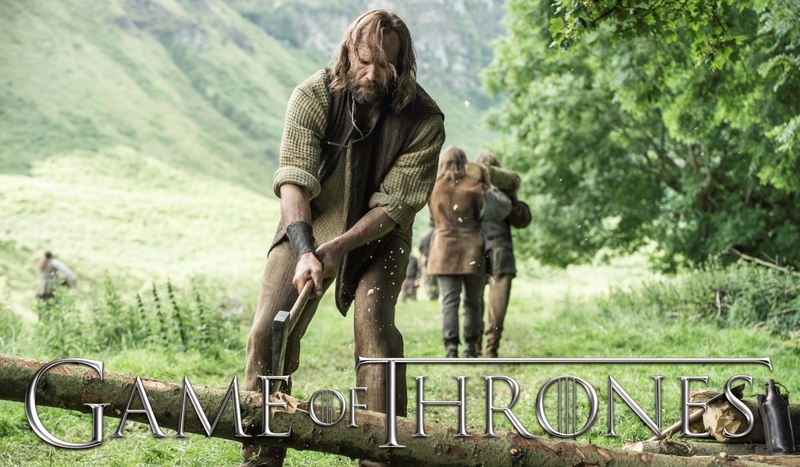 Sandor Clegane, otherwise known as the Hound, is revealed to have survived his wounds, and is now living among a small band of villagers. Their leader, a warrior turned septon named Ray, talks with Sandor, and recounts how he found Sandor on the verge of death and nursed him back to health. However, Sandor still feels guilt over his past sins, feeling he has not been punished for them.